After the initial launch of a loyalty rewards program and the surge of new membership is over you face the challenge of keeping your customers engaged. We write a lot about using email and text marketing to communicate with your customers. There are many different opportunities to communicate with customers through birthday offers, missed you specials, newsletters and alerts about new products or services. Even if you are communicating with your customers on a regular basis it is not uncommon for your program to lose steam. On Wednesday I posted about adapting your loyalty rewards program because of customer complaints, but that shouldn’t be the only reason to change. Evolving your loyalty program to reengage and renew excitement with your members is an important part of your loyalty strategy. This week I saw a press release from beauty supergiant Sephora about the relaunch of their Beauty Insider rewards program. The program has been around for a number of years and members earn points for dollars spent that can be redeemed for rewards including deluxe samples. The additions to the rewards program are perfect examples of how to evolve your program. The revamp gave Sephora a reason for a press release and other communications to alert customers who are already members and those who aren’t. Give members another level to work towards. After you have a program for a while and you are tracking your customer’s purchases you can assess you loyalty structure and levels. Sephora obviously saw a need for an even more exclusive and expensive rewards level. Add in perks – more exclusive access for all levels of the rewards program. Thanking members with double, triple and quadruple points August 12-18. Adding new technology – member web portal and app. 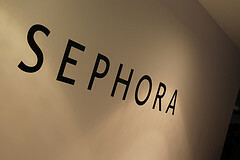 Not every loyalty program can do a revamp as extensive and costly as Sephora’s. Small to medium sized businesses looking to evolve their loyalty program can use one or two of the ideas from Sephora’s relaunch. By simply adding in a new reward or having customer appreciation days it gives you something to communicate to your customers. Don’t just let your loyalty program sit around collecting dust, always be thinking how you can take it to the next level to further reward your customers and increase your business.